Even if you are an experienced merchant in setting up a retail business or it is your first time, you must always make sure that you have the right POS if point-of-sale system. POS is a centralized business component, and it consists of various ways for a customer to purchase a product. 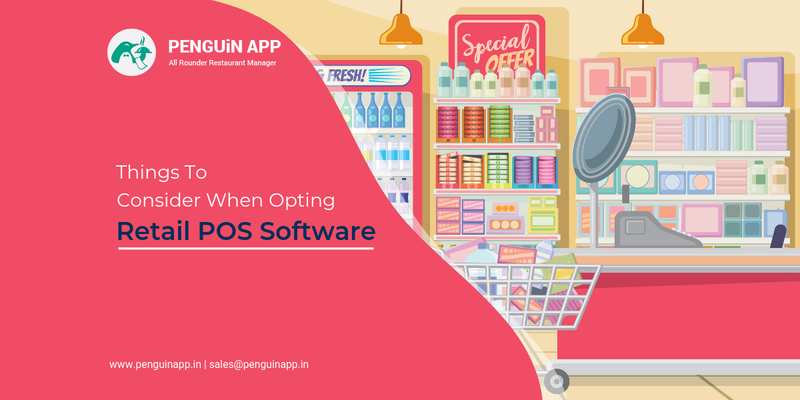 POS system is said to be great only if it can group and simplify critical business operations along with providing the customer with a steady stream of data with which they can make business decisions. POS is capable of doing many activities which includes Account management, Employee management, Inventory management, Sales reporting, and Customer management. From all the above activities, we need to know which one is right for our retail business either for upgrading to a newer version of the POS system or for sticking to the first system. You must make a wise decision and find a perfect solution. The costs of POS are low, and the initial price for getting a set-up of retail POS software may be a little more than usual. Unless your POS of choice is compatible with your present hardware, you should not invest in the software. A definite amount can be invested in new cash drawers and barcode scanners. Your starting investment can be a prospect, so we have created a range of affordable packages that you need to get started with. 2. Want a cloud-based POS system or not? Many businesses are changing over to cloud-based POS systems. The cloud-based software stores all our data in the cloud i.e. a space used to access anything, anyplace with the help of an interconnection. Security on cloud-based software is encrypted and is taken care of by the system service provider. They protect data from different users and invest highly in greatest possible security, i.e. far beyond the affordability of an individual’s company alone. Many businesses use POS with growth, for example, restaurants, gyms, and retail stores. As a retailer, you must know that the features required in retail billing software of your business may be somewhat dissimilar to other merchants that need a POS. Retailers must be sure if the system they choose has right features to make the business succeed or not. Initially, we must make a list of what we require the most from our future POS and make use of this as a basis for our search. If a system is impossible in using them, no business can take a risk in investing in that solution. So, we must choose a system that is simple for operations and can be used on a daily basis without a constant need to refer to the POS billing software. In a fast-passed environment, this is important and has a high turnover of staff than usual. A POS which is usable is essential in satisfying your team at the workplace. POS helps your staff retention figures and prevents customers from bad experiences at the register. Retails are known for their high turnover rate of staff during the Christmas period or season when temporary staff is frequently added to business on demand. Extensive training is a drain on the resources of a company as the experienced staff take off their usual roles in educating new team members or freshers. POS helps in establishing a user-friendly atmosphere and offers plenty of resources for training. You can even streamline the process of training and get new staff members up to speed. Apart from the usual features, it would help if you also considered the way POS integrates with the third-party software and further streamlines your operations. Integrations can save much workforce regarding triple or double entries. All your accounting data, sales figures, and customer data are stored in a central system, and updates need to be performed for changes in future making it visible for the third-party software also. While choosing a POS system, check what all areas of integration are available. When you enter into a relationship with a provider with the support of long-term success, choose a POS provider who can offer excellent customer support. There is always a need for gathering advice from a professional who understands everything about a system and can answer any question related to that system. Your POS might be easy to install, implement or straight-forward in operation but there will be times where you may need some advice and support from the professionals having skills and knowledge about the system. When you are searching for a new POS partnership, you must check out the support offered by them carefully. These days we can recognize that the customers are expecting a seamless experience of purchase in their shopping. For many such reasons, you must choose you’re POS that have beneficial access to live chats and emails from highly trained staff every day and throughout the week. Some POS billing systems are restricted in the number of registers that can be used. There is a limit to how far can your business grow before the requirement to invest a sum in brand-new POS that can accommodate expansions. Cloud-based POS can support any number of registers by enabling you to support a company’s success from scratch. There is no added networking cost included here. To make your retail business successful, you need to commit to POS software that satisfies all your unique requirements. POS systems can manage your stock very simply even if you have multiple warehouses or branches. The information regarding your current and incoming stocks, required for daily operations can be controlled using POS systems. POS offers reporting option for you to drill down deep into the information and get what you need and gain full knowledge about your business.